Hi guys/girls. 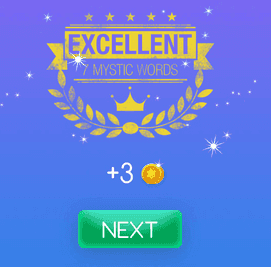 Welcome to Mystic Words Magenta level 28 answers. Remember to look only the answers to the clues you are blocked. There is no fun if you see all the answers before trying to solve them first. Be kind with 10 letters answer, click here! Yellowish to orange color 5 letters answer, click here! Blood vessel in the neck 7 letters answer, click here! A variety of pastries 5 letters answer, click here! Tropical tree 8 letters answer, click here! Long green or reddish acidic plant 7 letters answer, click here! A coin worth 1/100th 5 letters answer, click here!